Please contact us if you have any dietary requirements. You’ve seen the musical. You’ve watched the films. 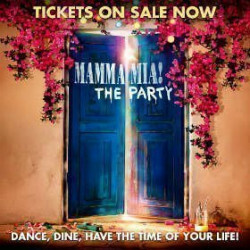 Now you can experience MAMMA MIA! THE PARTY. Spend a magical summer evening with friends in a special Greek island taverna, where the host’s only rules are dance, dine and have the time of your lives! Meet taverna owner Nikos and his family as their story unfolds in a glorious night of song, dance and celebration. Featuring your favourite ABBA songs performed by actors and musicians all around you, soak up the island atmosphere and feast on mouth-watering Mediterranean food & drink! Join us for this unforgettable experience when MAMMA MIA! 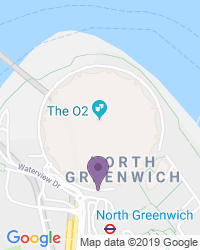 THE PARTY opens its doors within London’s The O2 from Summer 2019. Use the search box at the top left of this page to search for Mamma Mia! The Party tickets availability.